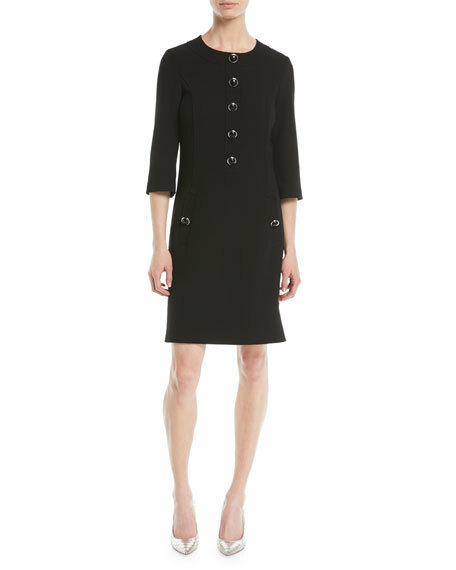 Gucci dress in stretch cotton piquet. 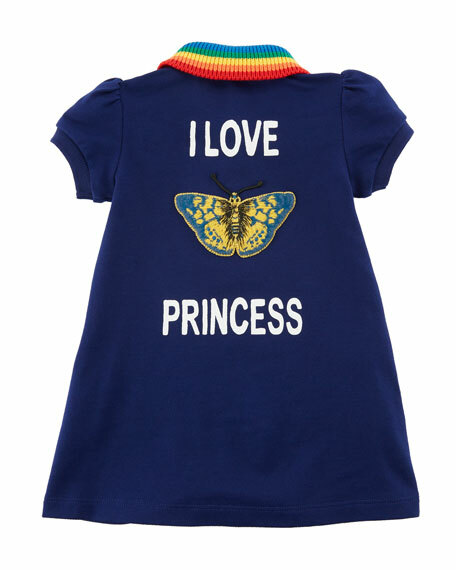 Embroidered butterfly and "I Love Princess" print text at back. 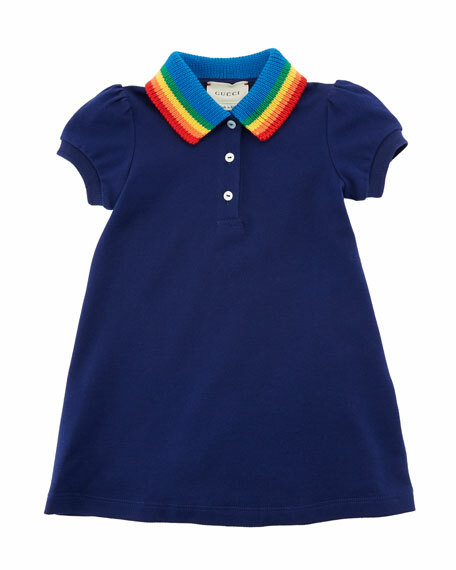 Rainbow ribbed knit spread collar; three mother-of-pearl button placket. For in-store inquiries, use sku #2383779. 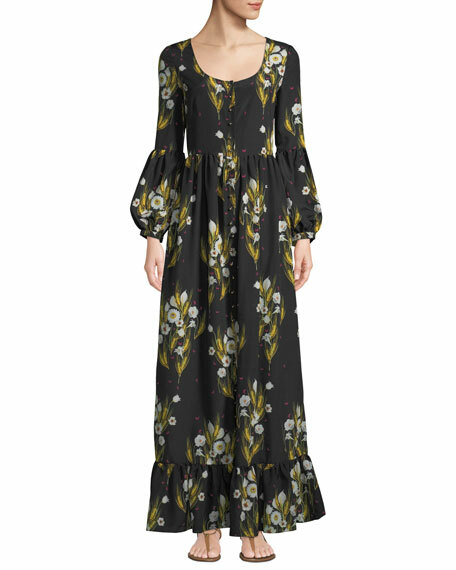 Borgo de Nor "Mina" crepe dress with wheat print. Scoop neckline; button front. Long pouf sleeves. A-line silhouette. Maxi length. Flounce hem. Polyester, self & lining. Made in UK of Italian materials. Proenza Schouler double-face knit dress. Vegetable-dyed leather trim and contrast topstitching. High neckline with button detail. Extended keyhole front. Long sleeves. Fitted through hips. Flared skirt. Ankle-length. Viscose/polyester/nylon. Made in Italy. 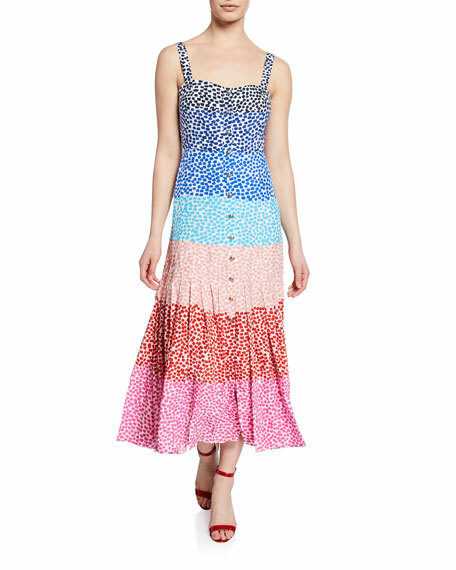 Saloni "Karen" dress in printed crepe de chine. Approx. 42.7"L down center back. Square neckline; button front. Sleeveless. A-line silhouette. Pleated skirt. Midi length. Silk. Dry clean. Imported.